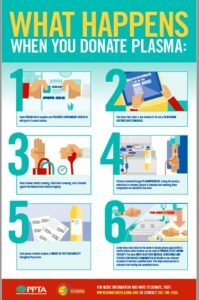 The Importance of Plasma – LA Kelley Communications, Inc.
It’s so important that we donate blood, or even just plasma, to give companies the needed raw material to make their pharmaceutical therapies. 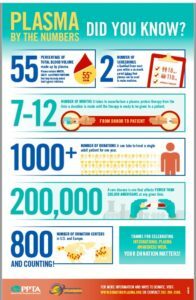 While this week we saw another jump in the evolution of hemophilia treatment with the approval of Hemlibra for non-inhibitor patients, plasma still holds a very important place in our global community. People with hemophilia may need it for IT therapy in combating inhibitors. And the developing world truly needs it as a source of treatment… sometimes it’s the only source. 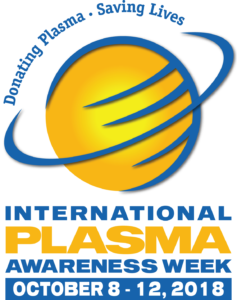 Read the posters below to learn more, know that people around the world have disorders that absolutely require plasma therapies, and then… donate! Go here to learn more about donating. And visit PPTA to learn more as well!